We put our forty-years of experience in law enforcement at your disposal. How many firms can say the same? James D. Goldman & Associates is a licensed full service private investigation agency headquartered in Weston, Florida. We conduct civil, criminal and domestic investigations employing surveillance, background checks, witness and suspect interviews and undercover operations. Our investigations are held in strict confidence. We also provide executive protection and consulting services for complex immigration matters. James D. Goldman, President and CEO of James D. Goldman & Associates, is a veteran of 25 years in federal law enforcement. His expertise has been featured on CNN, Discovery Channel and The History Channel. He retired in 2003 as the Interim Director of Immigration and Customs Enforcement, Department of Homeland Security, Miami Division. If you require the services of an International Investigations Firm with Global Assets and the ability to operate Worldwide, James D. Goldman & Associates can fulfill your needs! James D. Goldman & Associates is licensed by the State of Florida Dept. of Agriculture and Consumer Services [Lic. A2300198]. 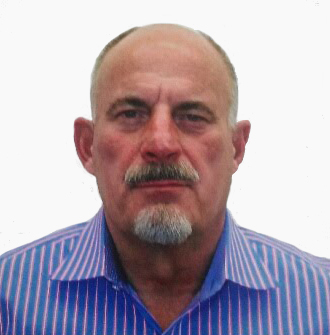 Throughout his Federal Law Enforcement tenure, James Goldman has been featured as a guest speaker and lecturer in numerous forums regarding various smuggling operations, both domestically and internationally. His expertise has been featured on major media networks like CNN , Discovery Channel and The History Channel . He was also awarded the Newton-Azrak Award for Heroism in recognition of his planning and extraction of Elian Gonzalez from the home of his relatives in Miami. Joe Pruitt, a veteran of USAF (1974-78) and the Maryland State Police (1979-2001), has served as Road Trooper, Supervisor, Field Commander and Commander Executive Protection (Secret Service Schools) for Governor Parris Glendening and entire first family, Lt. Gov. Kathleen Kennedy Townsend, Attorney General and Comptroller. Mr. Pruitt was also Security Supervisor for TSA hiring project 2001-2002. Paul Higdon is the former Director of INTERPOL, and is an internationally recognized authority on criminal investigations and intelligence gathering. Before joining INTERPOL, Mr. Higdon had a distinguished 27 year career with the U.S. Drug Enforcement Administration, which included several significant international posts and work as a key investigator in the famed French Connection case. Michael Wang retired from the New York City Police Department in 2002 after twenty years of service. He retired as a Sergeant while assigned to the 110th police precinct. Mr.Wang held numerous positions with NYPD that included assignments to the DEA drug task force and the 5th police precinct Asian Gang Unit. Mr. Wang is widely recognized for his extensive knowledge of Asian Organized Crime and street gang activity. Immigrant Avenues, LLC (Las Avenidas del Inmigrantes) is an independent marketing and outsourcing company that connects documented and undocumented foreign nationals with nationally-recognized immigration attorneys, including Jesse M. Bless of the Law Offices of Jeff Goldman, LLC, who spent more than a decade litigating federal immigration matters on behalf of the United States Attorney General. Jesse and IA's other outstanding, affiliated attorneys have agreed to provide affordable excellence via free consultations, fair and flexible fees and money-back guarantees. Immigrant Avenues thus serves as a trusted resource for foreign nationals and immigration-related organizations in need of help preparing and executing a plan for themselves or clients to survive and thrive in the United States. Bill Vancio recently retired from the U.S. Department of State, Diplomatic Security Service (DSS) after more than twenty-one years of distinguished service. During his DSS career, he was assigned as a diplomat at several U.S. Diplomatic Missions, where he was responsible for the physical, technical, information, and personal security of employees and facilities. Domestically, Mr. Vancio served as a Criminal Unit Supervisor, and Assistant Special Agent in Charge at the DSS San Francisco Field Office. He also worked in the Antiterrorism Assistance Program, where he created the Overseas Training Division, which trains and equips partner nation law enforcement and military personnel and, most recently, served as the DSS Liaison Officer to the U.S. Southern Command. He also served as a liaison officer and coordinated security for the Pan American and Cricket World Championship Games. Mr. Vancio has extensive experience with criminal and background investigations, identity fraud, dignitary protection, and counter-terrorism. His foreign languages are Spanish and Portuguese. He possesses in-depth knowledge of U.S. Embassy regulations and operations and maintains numerous contacts within STATE, Department of Defense, the private sector, and foreign government officials. Before joining DSS, Mr. Vancio worked for the U.S. Border Patrol, and was a criminal investigator for the U.S. INS. Tom O'Connell, retired police lieutenant from the Miami-Dade Police Department, the nation's second largest sheriff's office, with 20 years distinguished service. He is learned in myriad investigative and operational skills, to include Fraud, Internal Affairs, major crimes (murder, sexual battery, robbery, etc), Staff Inspections and all aspects of administrative responsibilities. Tom is considered this firm's POC (point of contact) whereby his knowledge of the criminal justice system, especially the inner workings of all police departments, their investigations divisions and his "contacts" is paramount to many of our investigations. Glenn Stolzenberg began his law enforcement career in 1982 as a police officer with the Miami-Dade Police Department. During his 32-year tenure with the department, Mr. Stolzenberg worked a variety of assignments through the ranks and achieved the rank of Police Major. Several of his most recent and notable assignments included, Public Corruption, Criminal Conspiracy, Internal Affairs, Homeland Security, Southeast Regional Domestic Security Task Force and the Southeast Florida Fusion Center. Major Stolzenberg received his Bachelor of Science degree in Criminal Justice from Florida International University and his Master's Degree in Public Administration from St. Thomas University. He graduated from the FBI's National Academy in Quantico Virginia in June 2010. James D. Goldman & Associates 1825 Main Street Weston, Florida 33326.